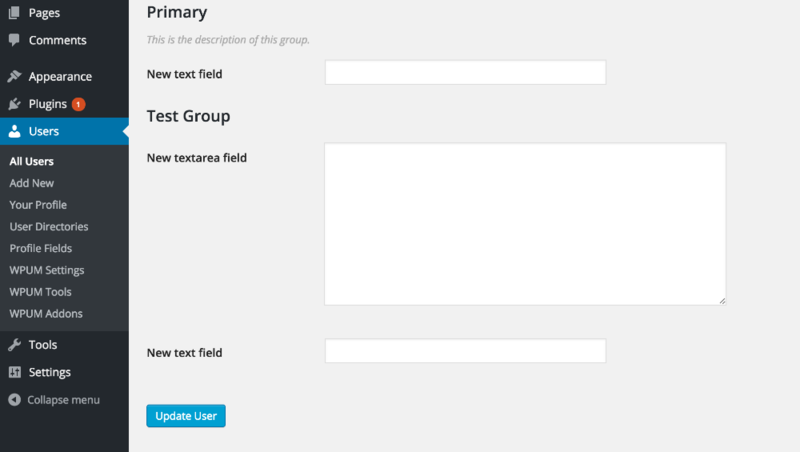 When new fields and groups are created, the fields will also be available to be edited into the user's backend profile. This means that an administrator can freely have access to the user information and if needed, modify them. In order to edit the information of a user, simply go to your users list into the WordPress dashboard, and click the "edit" button. A new section at the bottom of the page will be displayed, showing the fields that you have created and any information the user might have added. Just like the front-end profile page, all fields have been split in groups.